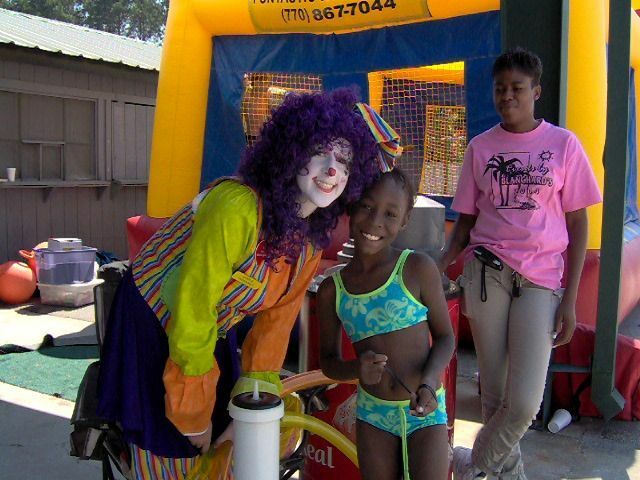 Atlanta Clown - Our colorful clowns will delight children of all ages. 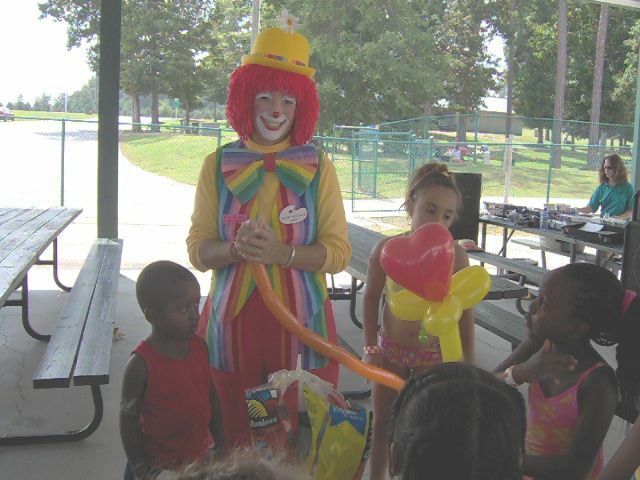 All of our clowns are able to do face painting and balloon animals. Some are also able to perform simple magic tricks as well. Available for company picnics, school and church events, grand openings, birthday parties, and any other special event. Our fee schedule for clowns is based on an hourly rate, except for our Special Birthday Party Rate. We also give multiple performer discounts. Our clowns travel within 100 miles of metro Atlanta. Please Note: We only represent Professional Clowns. Most of our entertainers are full-time professionals with a minimum of five years experience. Many of our clowns have attended Clown College.